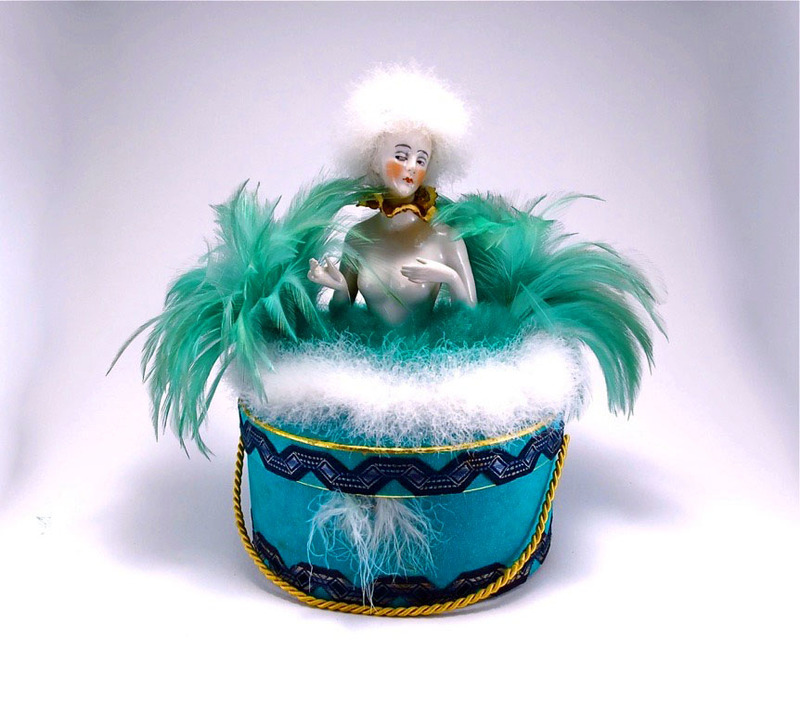 On April 29th the Perfume Bottles Auction broke all previous year’s records during its annual sale of perfume bottles and related vanity items in conjunction with the International Perfume Bottle Association convention in Bloomington, IL. 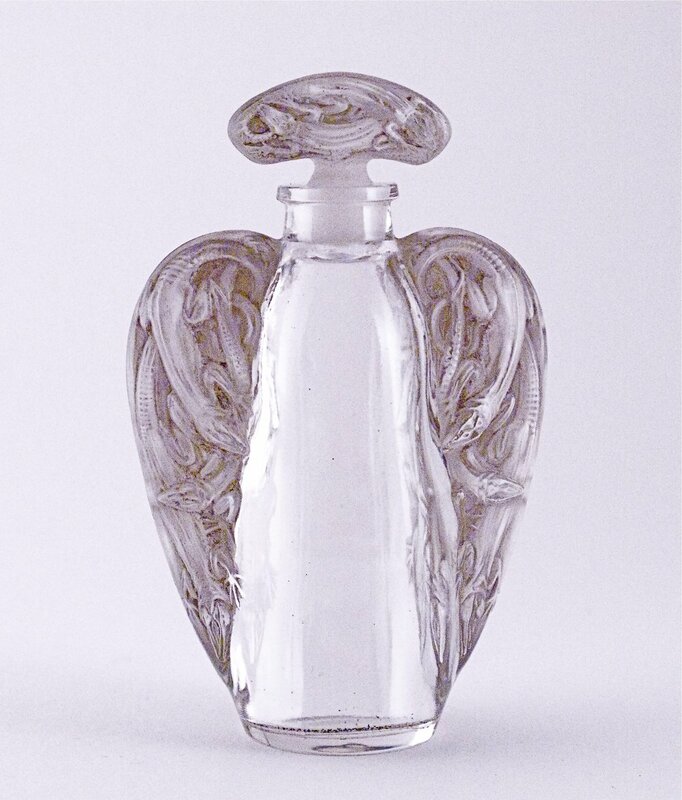 The auction opened with strong bidding on early scent bottles including a Froment-Meurice crystal bottle with enameled silver caging that realized $30,000, and an Egyptian style gold mounted Baccarat bottle that sold for $21,600, both bringing double their presale estimates. Over 250 fresh-to-the-market lots including powder boxes, compacts, atomizers and a variety of vintage Czechoslovakian bottles fueled competition between 300 bidders in the salesroom against phone and order bids, as well as online interests from 21 countries. Commercial bottles by various noted designers accounted for half of the evening’s offerings and created much of the excitement. 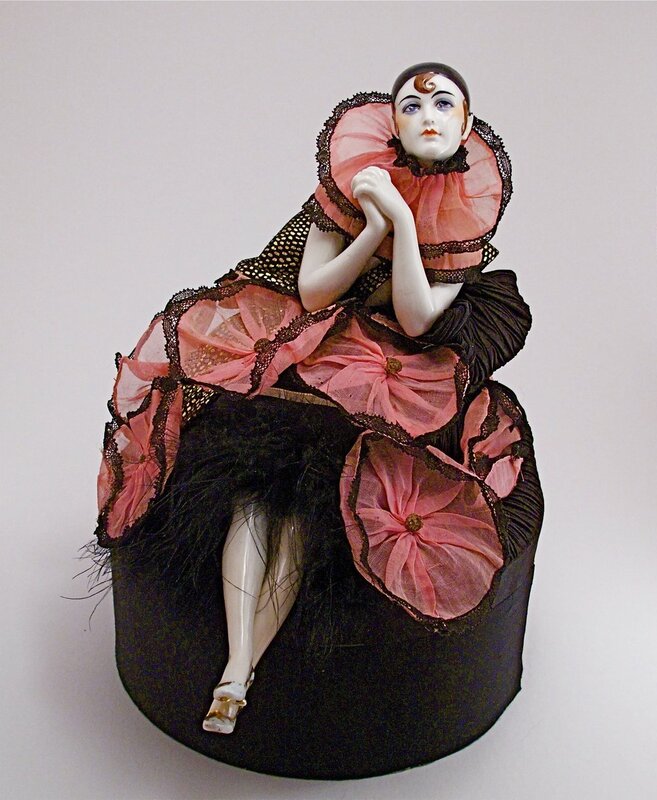 The exceptional figural bottle “Le Demon d’Amour” by French sculptor de Vaudrey realized $12,000; a Caron “fountain” used for dispening perfume in the Caron store sold for $8,400; and a 1930s Jean Desprez “Escarmouche” dagger bottle unwrapped for the auction brought $9,600. Baccarat’s “Nemora” for Roger et Galle sold for $10,800, and the J. Viard “Suspira de Granada” for Myrugia ended at $6,000. 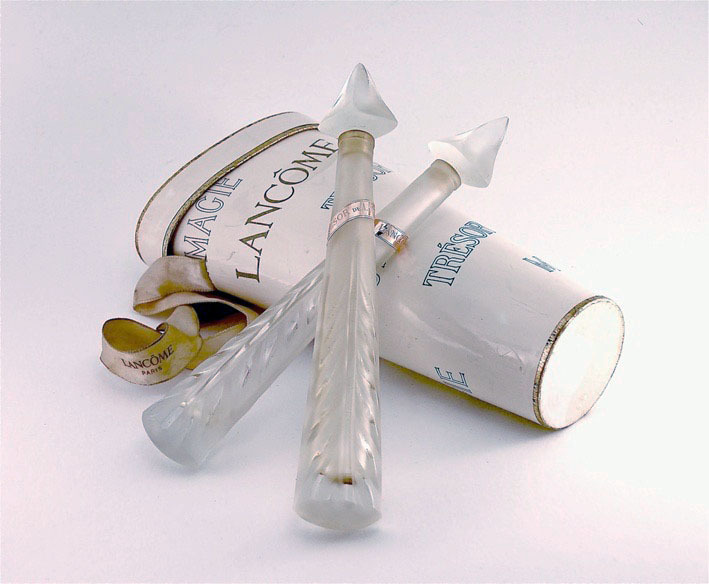 Of particular interest was the 1950s Lancome presentation for “Magie” and “Tresor” of arrow-shape bottles in a quiver given as a souvenir at a French charity ball, which closed at $37,200. A renewed interest in early 20th century bottles by Rene Lalique saw prices soar with a 1912 Burman “La Siren” bottle bringing $13,200, a Maison Lalique “Oreilles Lizards” reaching $22,800, and a 1923 D’Heraud “La Phalene” commanding $36,000.